Leaders in tourism and hospitality are invited to visit North Korea to meet with colleagues, to discuss business, and to enjoy the Arirang Mass Gymnastics show. If you have time, explore the remote North Hamgyong and Ryanggang provinces of the DPRK. The 60th anniversary of DPRK foundation will be celebrated by a brand-new 100,000-men special Gymnastics Art Show “Prosper the Motherland!”. 6 Sep. (Sat) – Departure from Beijing at 11:55am by Air Koryo JS 152. Arrival in Pyongyang at 14:55. 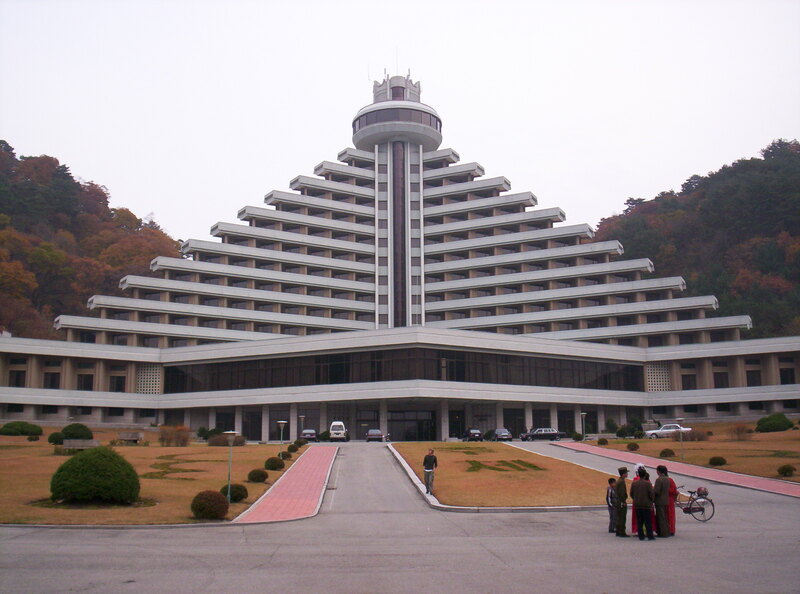 Introductory city tour, check-in at the Yanggakdo International Hotel. Meeting with hotel management team. 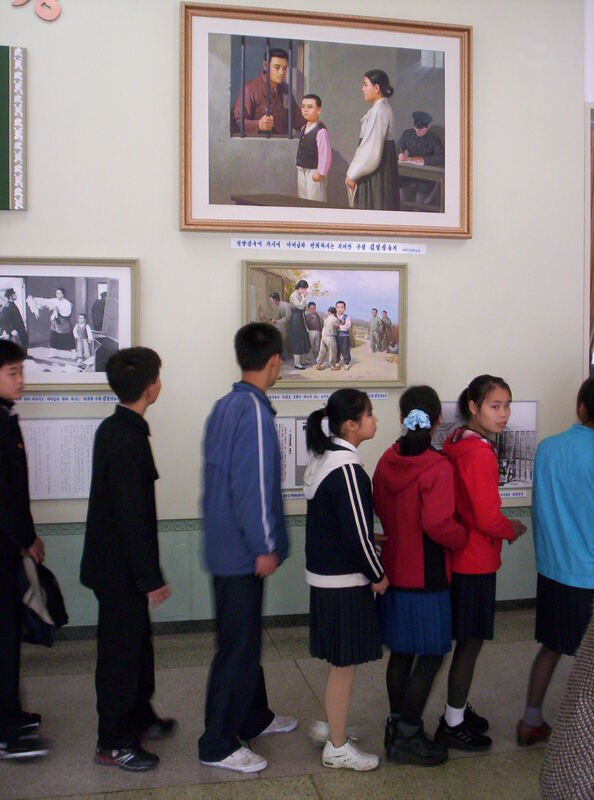 7 Sep. (Sun) – Kumsusang Memorail Palace, Pyongyang Film Studios. National Tourism Administration’s seminar on tourism to the DPRK , Q & A. Evening circus show (optional). 8 Sep. (Mon) – Day trip to Kaesong, P’anmunjeom, DMZ. Return to Pyongyang. After dinner “Arirang” Mass Gymnastics Show. 10 Sep (Wen) – Morning departure by charter flight to Mt. Chilbo’s Orang airport. Excursion to Kaesim Buddhist Temple. Homestay in Korean families. 13 Sep. (Sat) – Morning departure (8:55am) by Air Koryo flight JS 151 to China. Arrival in Beijing International Airport at 9:55am. Tour price: 4 nights / 5 days = 1,190 EUR per person (business trip only). Tour price: 7 nights / 8 days = 1,890 EUR per person (business trip + northern provinces). These prices include: Travel between Beijing and Pyongyang by airplane and/or train, shared twin room accommodation, three meals per day, all domestic transportation, interpretation, sightseeing, and entrance fees while in North Korea. Single room supplement: 20 EUR per person per night. The tour prices do NOT include: visa fee, other international flights, airport tax, and tickets for Arirang Mass Gymnastics Show ticket in Pyongyang. Arirang Mass Gymnastics Show ticket prices: Special class seat – 300 USD; 1st class seat -150 USD; 2nd class seat – 100 USD; 3rd class seat – 50 USD. Deadline for applications by e-mail: 15 August 2008. Visas can be issued in Beijing or other cities where DPRK embassies are located. Contacts for booking: L&J Development and Consultancy e-mail: LJinfo@narod.ru or phone in Australia +61-403076604. Stumbling on North Korea for the first time, not a few people – awestruck, disgusted, or just plain open-mouthed – seem fondly to imagine themselves as Star Trek’s Captain Kirk: piloting the Starship Enterprise to land in Pyongyang, surely this planet’s final frontier. Or maybe Christopher Columbus is a better parallel. As we all learned in school, Columbus discovered America. That claim now comes heavily qualified: America already existed and was inhabited. Vikings got there before Columbus, who didn’t even know where he was; he thought he’d hit India. For all concerned, it was a fateful – for some, a fatal – encounter. My own Columbus moment on North Korea was 40 years ago. A typical revolting student of 1968, head full of Marx and heart afire with anti-imperialism, I found my Nirvana. Here was a small ex-colony which defied the worst the West could throw at it (napalm included), to industrialize and lead its people out of poverty – as capitalism, I was cocksure, could not? 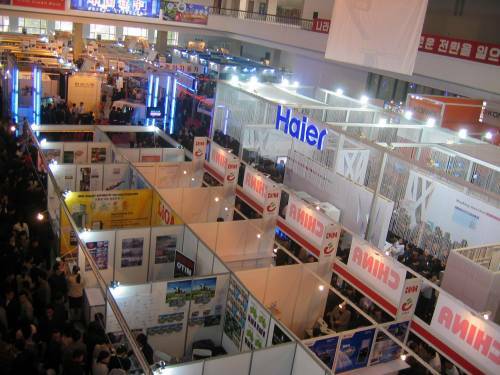 Among the foreign companies attending the 11th Pyongyang Spring International Trade Fair in the DPRK on 12-15 May 2008 was Phoenix Commercial Ventures Ltd.
An extensive gallery of photos from the trade fair can be viewed on the Phoenix website http://www.pcvltd.com (see Photo Gallery). The Daily NK (2008-05-13) carries an interesting story, which hints at the brewing public unrest in North Korea. People seem to be losing trust in their leadership due to Pyongyang’s “soft” approach towards the United States, and “hard” approach towards jangmadang markets. The source also relayed the prevailing atmosphere, “I listen to the radio frequently, so I know a fair amount of news, but it is difficult to separate the truth because people are going around cautiously saying that ‘we succumbed to those Americans and surrendered nuclear weapons to them.’” According to the source, such rumors started when North Korea recently demonstrated on TV and newspapers its willingness to shut down the nuclear reactor. 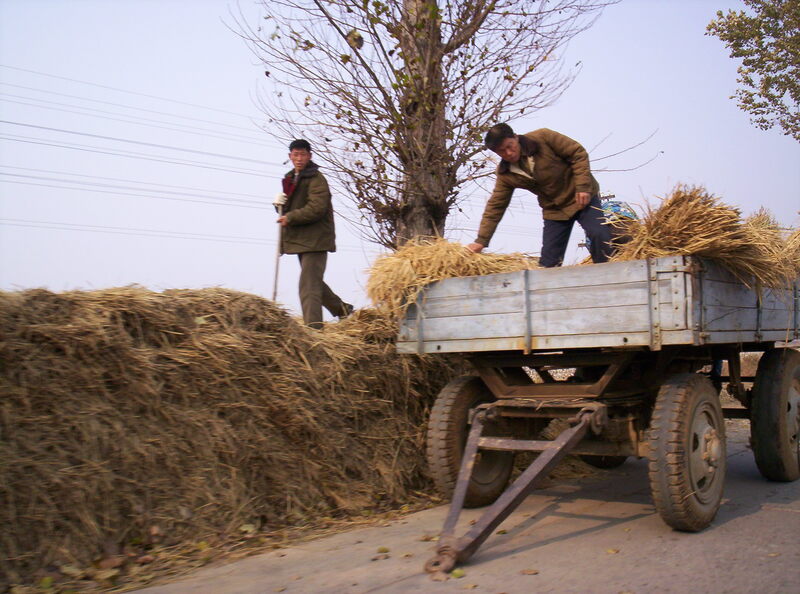 In North Korean jangmadangs (markets) recently, the composite fertilizer sent by South Korea rose to 1,200 won per kilogram, so the price of fertilizer has become slightly more expensive than the price of corn. The explanation given by the source was that fertilizer, which has been secretly sold in the market, is the fertilizer sent by South Korea last year. Consequently, collective farms have promulgated that they can only provide 15kg of fertilizer per a hectare, so a decree was issued to concentrate efforts on the manufacturing of decayed soil. How effective is propaganda in NK? Despite the 60 years of efforts to “revolutionize” North Koreans, they are still as humane as we are and most of them do not pay much attention to the official news or propaganda. They simply accept it and don’t question its validity. The source described an awkward atmosphere at the conference: When a chairperson of the People’s Unit of Hyehwa-dong in Hyesan asked outright, “We can understand that fact that Americans and Lee’s puppet factions are not aiding us with rice, but, why won’t China help us, as our closest ally?” The speaker’s face turned pale at the question and a sudden silence and tension filled the hall. Do we trust every commercial which TV, radio and newspapers precipitate on us? When you hear another advertisement or see a billboard you simply turn away and pretend it does not exist (unless something is really wrong or funny about it). Similarly, people in the USSR, PRC, Cuba and other communist states did not care much about propaganda which was simply a boring nuisance, which people accepted only because “somebody wants us to know it”. From my own experience I can tell you that Russians, like North Koreans, were exposed to the most pervasive propaganda and required to study Marxism-Leninism day and night. But very few really cared or understood it properly. People simply tried to memorize a political text and then used quotes from it only when they were supposed to demonstrate loyalty or endorse the official line. People’s brains have certain capacity to absorb and process propaganda (political or commercial). When this capacity reaches the limit the brain stops relating to this type of information until the circumstances change. For instance, you have to compel a member of your community to fulfill a difficult task, or you argue with a foreigner about the “advantages” of one system over another. But in most cases the learned dogmas had nothing to do with the realities of everyday life. That’s why Saturdays in North Korea are designated “study days” when people master their ability to find answers to difficult questions. Self-criticism sessions (where people have to confess their real or potential deviations) are also widespread. All this is designed to numb and hypnotize the population in order to keep it docile while the grand social experiment — the revolution — is being conducted. The DPRK is still a revolutionary state but nobody seems to be able to answer the two questions: when it started and when it will be completed. 호주는 과연 북한을 도울 것인가? 2008년 3월 1일, 17일 간의 미국, 유럽, 중국 순방을 떠나기 직전 케빈 러드 연방 수상은 자신의 외교 철학을 천명한 바 있다. 그는 호주 국립대 동 아시아 포럼에 참석 “지금까지 호주는 세계의 다양한 기구에서 너무 오랜 시간 침묵해 왔던 것이 사실”이라며 “그렇기 때문에 세계는 앞으로 3년 동안의 코스동안 호주가 긍정적인 변화를 만들 수 있는 지역에서 적극적인 호주식 국제 정책을 펼치는 것을 보게 될 것”이라고 말했다. 러드 수상은 당시 참석자들에게 새로운 호주 정부는 호주 국익을 향상시키기 위한 수단으로 “창조적인 중간 권력 외교 (Creative middle-power diplomacy)”를 실시하겠다고 강조했다. 하워드 정부가 이끌었던 지난 12년(1995-2007)동안 호주의 외교 정책은 한쪽으로 치우친 보수성을 특징적으로 보였다. 호주 자유당은 민주주의 확장으로 무장한 채 세계 군대 우선주의을 주창하는 미국의 신보수주주의를 쉽게 받아들였다. 하지만 작년 11월 연방 총선에서 승리한 현 호주 노동당 정부는 다음 3가지 기둥들을 출발점으로 국제 정책을 추진할 것이라 밝혔다. 이는 미국과의 동맹국, UN의 활발한 회원국, 그리고 아시아와 포용력있는 관계를 유지하는 국가라는 3가지 기둥이다. 이와 같은 측면에서 실행되는 호주의 국제 정책은 현실주의, 자유 국제주의 그리고 지역주의로 설명될 수 있다. 그렇다면 국제 정책에 대한 이런 새로운 외교 접근법 아래 호주는 과연 아시아 태평양 지역 내 문제 국가들을 돕기 위해 더욱 능동적인 접근을 고려하고 있을까? 주요 식품들의 치솟는 가격-쌀의 경우 지난 몇 년새에 3배 이상 가격이 증가 했음-은 동북 아시아의 가장 가난한 국가에게 안정성에 대한 우려를 초래케했다. 북한에 대한 보고서에 따르면 북한은 현재 새로운 기근에 직면하고 있다. 북한은 남북관계가 최악일 때 남한의 원조 감소로 최악의 식품부족난을 겪게 될 것으로 예측되고 있다. 세계 곡물 수확의 불황과 국제 곡물 가격 상승은 북한을 돕는 국제 구호 단체들을 더욱 힘들게 하고 있다. 지난 달 세계 식량 프로그램은 “북한은 심각한 홍수와 경제 제재 그리고 비 효율적인 외교로 인해 앞으로 몇 달동안 대대적인 기근을 겪게 될 것으로 이를 극복하기 위한 대량 식량 원조가 필요하다”고 경고했다. 호주는 현재 북한과 최소한의 관계를 유지하고 있다. 공식 외교 채널은 유지하고 있으면서도 평양에 호주 대사관을 설치하겠다던 계획의 실천은 미미하기만 하다. 지난 2006년 10월 북한이 핵 실험을 단행한 이후 호주는 북한 주민들에게 호주 비자를 발급하지 않고 있으며 북한 국적 선박들에게는 호주 입항을 금지하고 있다. 호주와 북한 양국 사이 대부분의 협력은 호주 쪽이 일방적으로 “핵무기 위기가 해결될 때까지”라는 조건을 걸어 정지한 상태다. 지난 1월 캔버라 북한 대사관의 철수는 냉각된 호주-북한 관계의 논리적인 지속성으로 비춰졌다. 언론들은 호주와 북한의 미래 관계를 논하는 그 어떤 토론도 준비하지 않아왔다. 호주 정부가 제작한 북한 관련 보고서와 팜플렛들은 북한에 대한 정부의 비관적인 자세를 그대로 반영하고 있다. 북한과 관련한 모든 경제적, 문화적 협력 이슈들은 북한의 핵실험 시도와 으시시한 인권 침해 사례들, 북한 정부가 연계돼 있을 것이라고 추정되는 범죄 활동 뉴스에 의해 무색케 됐다. 압도적인 호주인들은(86%) 북한이 세계에 미치는 영향에 대해 부정적이기만 한 시각을 가지고 있다. 출판 매체, 영상 매체 할 것 없이 모든 미디어들은 북한에 대해 편견을 가진 부정적인 보도만을 더해가고 있는 것이다. 북한이 현재 정상적인 상태가 아니라는 것은 확실하다. 또한 북한이 오늘날의 세계에서 유일한 형태의 사회 체계를 갖추고 있는 것도 사실이다. 북한을 성공적으로 다루기 위해서는 냉전 시대의 역사와 종말이 지역적으로 미친 영향에 대해 이해해야 하며 이를 기억해야 한다. 한반도 내 갈등의 현실은 우리가 북한과 회담이나 협력을 하게 될 그 모든 순간에 고려돼야만 한다. 감수성 그리고 한국과 한국인을 이해하는 것은 직접적인 그들의 국가와 언어 그리고 문화만큼이나 중요하다. 하지만 안타깝게도 직전 정부의 실용주의에 대한 열중 그리고 세계화에 대한 굶주림은 호주와 북한 관계에 있어 그 어떤 발전을 위한 기회도 주지 않았다. 북한관련 이슈들은 능력이 없어서어쩔 수 없다는 듯 잊어버렸다. 북한은 현재 중앙 계획적인 경제 체제가 더 이상 작동하지 않는다는 것을 직접적으로 경험하고 있다. 하지만 아직까지 시장 중심적 경제 체제는 건설되지 않은 상태다. 현재 북한 정부는 어느정도라도 남한이 이룩했던 강력한 수출 기반 경제 발전에 지지 않으려고 노력하고 있다. 독재 정부는 어떤 대가를 치루더라도 산업 생산력을 늘리겠다는 것을 목표로 하고 있다. 하지만 이 시나리오는 자본주의를 터부시해왔던 북한 스스로의 지배 사상이 장애가 되어 난간에 봉착한 상태다. 정치적으로 북한은 폐쇄적이며 외국과 국내의 비판에 대해 극단적으로 예민한 상태다. 이는 물론 민주적인 발상은 아니지만 안정성을 보장하고 경제성장 시기에 붉어질법한 노동 불안에 대한 가능성을 배제할 수 있다는 특징을 지닌다. 북한은 공업(43%)산업 중심의 국가로 중간 수준의 서비스 산업(33%) 그리고 비교적 작은 농업(23%) 산업을 운영하고 있다. 하지만 이들은 모두 에너지 위기와 외국 무역 제재 그리고 자연 재해와 인력의 실수 등으로 제대로 운영 되지 않고 있다. 지난 2002년 7월, 북한은 국가 경제를 자유화 하려는 여러가지 조치를 단행했다. 그렇지만 부동산과 산업을 사유화 하겠다는 움직임은 크게 진전을 보이지 못했다. 이로 인해 아직까지 북한의 많은 기업이나 사업들이 국유화로 운영되고 있으나 이들은 사업을 운영하고, 물건을 판매하는데 있어 전례없는 자유를 누리고 있는 것도 사실이다. ‘이윤 생산’은 오늘날 북한의 표어가 되고 있을 정도다. 북한은 10여년 전 공업 생산이 중단된 이례로 해외 수입을 극도로 제한하고 있다. 하지만 현재의 북한은 생산물과 서비스에 대해 거대한 열망을 보이고 있다. 북한은 자신들의 경제적인 어려움을 자연 재해, 공산주의 시장의 붕괴 그리고 서방세계의 경제 제재, 이 3가지의 요소 때문이라고 말한다. 이러한 배경에 맞서 호주 정부는 북한 경제의 최 우선은 식량공급을 유지하기 위한 쌍무적 그리고 다각적인 원조, 사회기반시설을 위한 대량 자본 투입, 붕괴된 공업 영역의 회생이라고 정의하고 있다. 지난 1996년부터 지금까지 북한에 대한 호주의 식량 원조 및 인도적 지원의 총 합은 AUD$6400만를 넘어서고 있으며 대부분이 다각적 원조의 일환으로 지급됐다. 최근 호주와 북한과의 무역은 지난 2006년 북한의 핵실험을 처벌하기 위해 호주가 자체적으로 제정한 Security Council in Resolution 1718로 인해 장애를 겪고 있다. 여기에는 호주산 고급 물품이 북한으로 수출되는 것이 제한되고 있으며 이들은 대부분 생활에 필수적인 소비재다. 수출 금지 품목에는 와인, 청량음료, 담배, 바닷가재, 전복, 연체동물, 굴, 자동자 및 다른 교통수단, 전 종류의 화장품, 모피, 보석, 유리잔, 예술품, 볼펜, 시계, 손목시켸, 카페트, 가죽 여행 물품, 옷, 악세사리, 소비용 전자제품, 오락용 전자제품, 소프트웨어, 카메라 용품, 그리고 스포츠 용품등이 포함된다. 위의 품목을 제외한 모든 제품들은 북한으로 수출될 수 있으나 현재 호주와 북한의 쌍무적 거래는 하잘것 없는 수준이다. 북한에 대한 호주의 수출은 지난 2007년 중단되기 전까지 무기화학 원소들을 선박으로 가끔씩 실어나르는 것이 대부분이었다. 북한에 대한 수입은 대략 AUD$600만~1100만 정도 였으며 전기 생성을 위한 화학 원소, 구리, 산업 엔지니어링 기구, 가전제품, 탄화수소, 유도체, 털실과 옷감, 철, 강철, 그리고 화학품 등으로 북한은 호주 무역 파트너 순위에서 125위를 차지하며 무던한 무역관계를 유지했다. 평양의 가장 중요한 목표 중의 하나는 국제 제재를 해제하고, 외국계 광산업체와 장기적인 협력 아래 현재의 광산을 현대화 시키고, 발달되지 않은 광물들을 체굴하는 것으로 더불어 광산 개발 비용을 광물로 지급하는 것이다. 호주의 광산업계는 아마도 이러한 부분에서 이익을 남길 수 있을 것이라 예상된다. 제재가 풀리고 나서 발빠른 광산업 경쟁자들이 북한에 무엇이라도 남겨놨다면 말이다. 두드러지는 대외적 부채, 호주와의 쌍무적 무역 관계 실패, 시장을 기반으로 한 경제 경험 및 능력 부족이라는 북한의 현재 상황은 전형적인 방법의 무역과 거래가 어느정도의 도전을 뜻한다는 것을 입증하고 있다. 심지어 호주 상공회의소는 “북한의 심각한 통화 부족은 국제 무역에 있어 전형적인 방법의 무역 성사가 불가능하도록 보이게 한다” 며 “하지만 더 나아가 과거 물물교환 방식의 경제 협력도 실패했다”고 경고하고 있다. 북한은 높은 위험을 가진 시장에 도전하기를 즐기는 사업적인 모험가 그리고 선구가들에게 적합한 장소다. 최근에 발생하고 있는 아시아의 주식, 쌀의 가격 인상은 세계 최 빈국들을 더욱 힘들게 하고 있다. 그 가운데 국제 식품 원조에만 의지하고 있는 북한은 가장 큰 타격을 겪을 것으로 예상된다. 이에 대해 푸쿠시로 누카라 일본 재무상은 지난 3일 스페인에서 개최된 제 41회 아시아 발전 은행 연례 회의에서 “쌀 가격 상승은 회원국들의 생활수준과 영양 공급에 부정적인 영향을 미칠 것이다”라며 “이러한 상황은 사회적 불안을 조성할 것이므로 이에 대한 즉각적인 조치가 필요하다”고 역설했다. 아시아 발전 은행은 그 전에도 벌써 아시아의 빈국들을 돕기 위해 유연한 차관을 제공하겠다는 의사를 밝힌 바 있다. 아시아 발전 은행은 그 밖에도 2008, 2009년 사이에 어려운 회원국들이 농업 기반 시설을 마련하고 지역 경제를 증진시킬 수 있도록 20억 달러를 차관으로 내 놓겠다고 약속했다. 그렇다면 아시아발전은행의 영향력 있는 회원국이자 최대의 곡물 수출국이기도 한 호주는 최 빈국 북한을 돕기 위해 과연 어떤 위치에 서겠는가? 호주의 대북정책은 지나치게 오랫동안 미국의 정책을 모방하는데에만 그쳐왔으며 그 결과 그 정책은 사망의 길을 걷고 있다. 이전 정부에 의해 몰아붙여 온 이 정책은 이제 더욱 다급한 관심과 조정이 필요한 시점에 있다. 하지만 만약 호주 정부가 이를 무시할 경우 호주는 자국의 수출가나 투자자들이 이용할 수 있는 많은 기회들을 놓쳐버리게 하는 위험을 감수하게 된다는 것을 염두해야 할 것이다. 이런 관점에서 호주와 북한의 관계는 새로운 시작을 도모해야 할 시간이다. 케빈 러드 수상에 의해 제기됐듯이 호주 전역에는 지금 균형을 회복하고 전통적인 호주식 외교로 회귀해야 한다는 목소리가 높아져있다. 이는 호주의 외교 정책이 3가지 기둥인 미국의 동맹국, UN의 회원국, 아시아에 있어 포용력있는 관계를 유지하는 국가라는 출발점에 설 것을 고려해야 한다는 것을 뜻한다. 캔버라, 서울 그리고 워싱턴의 새 정부는 동 아시아의 균형있는 관계를 조성하기 위한 새로운기초를 다 함께 조성할 수 있을 것이다. 정치적인 시각의 차이와 경제적인 시스템은 분리되지 않는다. 하지만 협력의 가치를 증진시키고 상대국의 강점을 보강할 수 있도록 서로를 돕는 것 역시 중요하다. 외교적인 유대를 강화하고, 경제 협력과 인도적인 원조 지원을 확대함으로써 호주와 북한 양국은 한반도 핵 문제를 평화적으로 해결하고 지역 내의 지속가능한 평화와 번영을 이룩하는데 큰 공헌을 할 수 있을 것이다. Goodfriends (“Goodfriends”, 2008/06/23) reported that the DPRK has prohibited making long distance calls, except in Pyongyang , at home. This national level regulation is attributed to information security. The DPRK believes long-distance calls made it possible to reveal immediately its starvation and food shortage to international society. 19 May 2008, Cellular News reported that Orascom Telecom has announced the successful completion of the first call on the CHEO network in North Korea. Orascom says that the success of this trial network using WCDMA technology represents the first step in providing coverage throughout the country. CHEO, a subsidiary of Orascom Telecom, is looking to launch its full commercial mobile services within the second half of 2008. Earlier this year, the company said that it expects to sign up an initial 100,000 subscribers when it launches its new GSM network in North Korea. Speaking on a conference call, CEO Naguib Sawiris said that the service would start in three main cities in the country and the company will then pause to assess the impact. The company aims to spend an initial US$200 million on the network over the next twelve months, with US$100 per year for the two years after that. Orascom’s license was granted to the company’s subsidiary CHEO Technology JV Company (“CHEO”) which is controlled by Orascom Telecom with an ownership of 75% while the remaining 25% is owned by the state owned Korea Post and Telecommunications Corporation. The terms of the license allows CHEO to offer services to its customer throughout the country, the duration of the license is 25 years with an exclusivity period of four years. Regulators in the country met with their counterparts in China in March to discuss controlling mobile radio frequencies along the border between the two countries. Plans by South Korean companies to build a CDMA network in the capital city in 2002 were cancelled following diplomatic pressure by the USA. 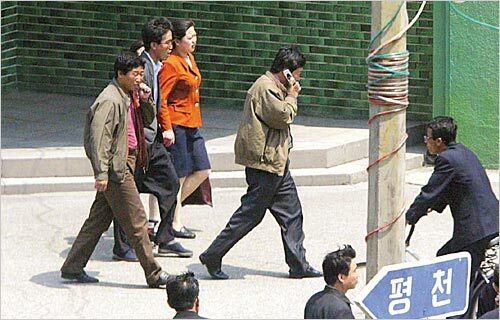 SEOUL (Yonhap) — The groundwork for establishment of a mobile phone service is being laid in North Korea, said an official of an Egyptian company preparing to operate the service in the isolated communist country, according to a Washington-based radio station in early May. Radio Free Asia (RFA) on May 1 quoted Stefano Songini, investor relations director of Orascom Telecom Holding S.A.E., as saying in an e-mail interview, “Our operation people are currently on the ground working on the deployment of the business.” Orascom is the fourth-largest Arab mobile phone operator based in Cairo, Egypt. Songini, however, said, “We have not officially communicated a launch date for our operations.” Orascom earlier said the service will likely begin in May. The RFA said the groundwork could mean setting up telecom towers or checking connections among mobile base stations, citing communication analysts in the United States. Orascom said in a Jan. 30 press release that its subsidiary Cheo Technology was granted “the first commercial license to provide a mobile telephony service” in North Korea. Cheo secured a 25-year license and will invest up to US$400 million in network infrastructure over the first three years, along with service for the capital city Pyongyang and most of the major cities during the first 12 months in operation. North Korean mobile phones will use the Wideband Code Division Multiple Access system, which can provide coverage of not only voice but also data like music and moving pictures, the RFA added. Currently, foreign diplomats accredited in the DPRK and authorised North Koreans are using the “Sun-Net”, a GSM mobile system with several hundred subscribers and SIM cards on sale for 450 Euros per number. Lafarge SA’s $13 billion purchase of Egyptian cement company Orascom was billed as a story about a building boom in the Middle East. But the purchase by the Parisian company also involved a little noticed, but potentially fast-growing market: North Korea. With tensions over North Korea’s nuclear program abating, foreign money is starting to move, carefully, into the country. By any other measure the amounts are trivial — in the tens of millions of dollars — but there certainly is plenty of business and M&A opportunity for brave business people. A spokeswoman for Lafarge said North Korea is a very small piece of Orascom’s total business and didn’t consider it a significant issue. Lafarge has been pushing international expansion for decades, having established operations in the U.S., China, Ecuador, India and beyond. Life in North Korea may be a touch different, but the opportunity is, perhaps, like none other. Consider the cost of labor there, with monthly wages at around $57.50, compared to about $100 for China, according to one recent Newsweek International story. And there has been such little infrastructure built there that the North is practically begging the South for more foreign investment. Deal Journal’s prediction: That sometime in the next 10 years, General Electric, Siemens and Hyundai will all be touting the “North Korean opportunity.” For the record, Lafarge was there first. In March 2008, before leaving for a 17-day trip to the United States, Europe and China, Australian Prime Minister Kevin Rudd declared his foreign policy philosophy. “The truth is that Australia’s voice has been too quiet for too long across the various councils of the world,” he told the Australian National University’s East Asia Forum. “That is why during the course of the next three years, the world will see an increasingly activist Australian international policy in areas where we believe we may be able to make a positive difference.” Rudd assured the audience that the new Australian government is committed to the principle of “creative middle-power diplomacy” as the best means of enhancing Australia’s national interests. The twelve years of Howard government rule (1995-2007) were characterized by one-sided conservative foreign policy. Australian Liberals readily accepted from American neoconservatives a doctrine of global military pre-emption and armed democratic enlargement. 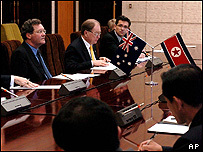 The Australian Labor Party, victorious at last year’s federal elections in November 2007, now proudly states that its foreign policy platform is based on the three pillars — alliance with the United States, active membership of the United Nations and comprehensive engagement with Asia — that manifest realism, liberal internationalism and regionalism. SEOUL (Yonhap) — Australian Foreign Minister Stephen Smith said on May 7 that his country will not resume development assistance for North Korea unless it takes “substantial” steps towards denuclearization. The minister, on a three-day trip in Seoul from May 6, however, said Canberra will continue providing humanitarian aid without attaching any conditions. He stressed that cooperation between the new Australian and South Korean governments is essential in addressing the nuclear crisis and other regional concerns. “The nuclear weapons of the Democratic People’s Republic of Korea (DPRK) pose a serious threat to regional stability. Both our countries are committed to the denuclearization of the Korean Peninsula,” Smith said at a forum, using the official name of the communist nation. He took office five months ago following the Australian Labor Party’s win in elections. He expressed support for South Korean President Lee Myung-bak’s policy on the North. “President Lee’s firm position on the DPRK – making economic assistance conditional on progress towards denuclearization and an improvement in the DPRK’s human rights record, while keeping humanitarian aid unconditional, aligns closely with our own policy approach,” he said. “Australia has suspended development assistance until the DPRK makes substantial progress towards denuclearization,” he added. My friend in Japan can tell you what it feels like. First the bowls of gritty corn mixed with a few grains of rice get smaller and smaller. To satisfy your aching stomach, you boil the grains in water, making a grey watery gruel. This silences your hunger – for a while. Then the grain diminishes until the gruel is little more than water. You get cold and tired. Any effort seems too difficult. In the street the bodies lie like bundles of rags beside the road. No one does much about them. Everyone is too exhausted by the struggle to survive. That was North Korea in 1995-97, during the famine that the authorities euphemistically call the Arduous March. It is estimated that 600,000 to one million North Koreans died of starvation. My friend survived, mainly because she lived near the Chinese border and slipped across it to trade on the black market. Now the nightmare is beginning again. But this time the border between North Korea and China is much more tightly controlled, and black market activities have become even more dangerous. Last month the South Korean aid organisation Good Friends reported that a second Arduous March was beginning and warned that it would be difficult to stabilise the situation if nothing was done by the end of the month. At the start of this month, when nothing had been done, Good Friends began reporting deaths from starvation, particularly around the town of Yangdeok, north-east of Pyongyang… Read the full story here.